Evelyn has attended her weekly dance class for the past nine months. During that time she has learned to plié, shuffle ball change, and other stuff dance people do. 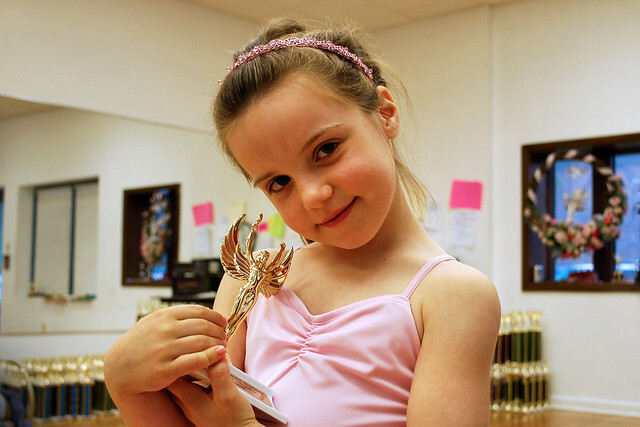 Yesterday was the last class of the season - a chance for the dance finale and to get a trophy for her commitment. More dance finale pictures are on Flickr.